A Chick-fil-A fruit tray makes this an easy lighter treat. 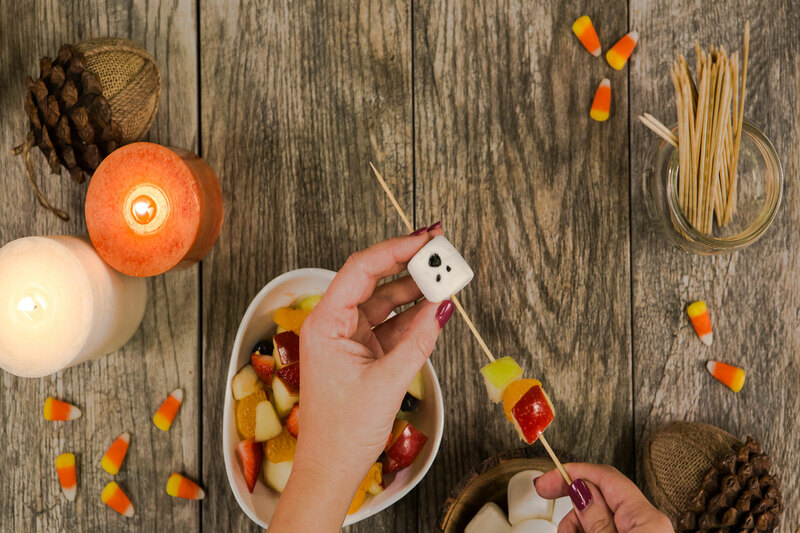 With a Chick-fil-A fruit tray, skewers, marshmallows and an edible ink marker, your regular jack-o-lantern can become a fun centerpiece -- and a nutritious snack! 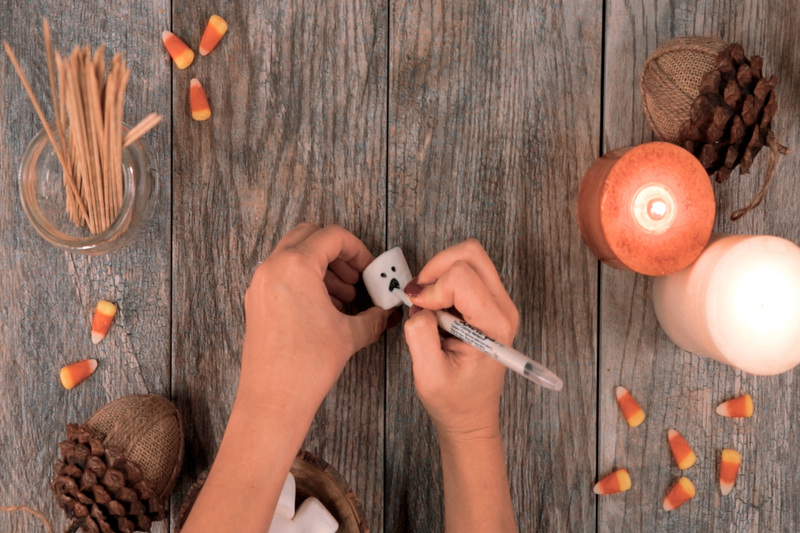 • Use a black food coloring marker to draw ghost faces onto each marshmallow. Let them dry for a few minutes. 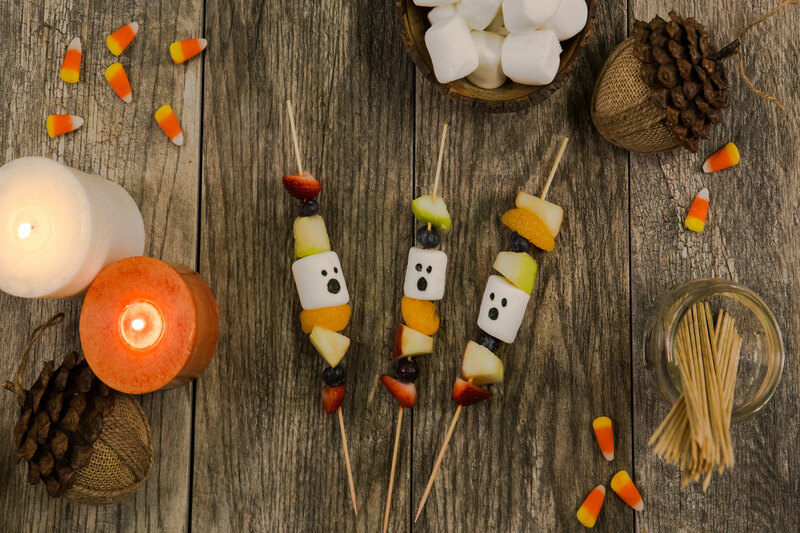 •	Add fruit and a ghost marshmallow to each skewer. •	Stick pointed side of skewer into pumpkin. For other easy Halloween-themed snacks, try making Chick-fil-A Candy Corn Lemonade or Chocolate Chunk Vampire Teeth.